Don't misread Verizon's about-face on unlimited plans solely as a sign of network confidence. Contrary to their previous explicit direction otherwise, Verizon announced on February 12th, 2017 that they would be offering an unlimited voice and data plan at rates slightly higher than comparable offerings from T-Mobile (TMUS) and Sprint (S). Not coincidentally, in its earnings call on Feb 14th, 2017, TMUS indicated that they were porting Verizon subscribers to TMUS at a 2.8:1 ratio to subscribers ported from TMUS to V. This plan is clearly slated to reduce the churn of postpaid customers from VZ to S and TMUS and we believe that it is a very compelling service offering. Analysts were quick to choose sides: the first posited that this was a sign of VZ's confidence in their network upgrades and capacity, while the second group believes that the network will show signs of strain under the added capacity. We believe that both groups are partially correct and that infrastructure related entities are the ones that stand to gain the most. Back in last January, we applauded VZ for their densification efforts in our note Verizon (VZ) positioning for a range of 5G futures. The premise was simple- Verizon's efforts to add fiber and small cells to their network give them a marked advantage over other wireless service providers in the race for 5G. That premise hasn't changed and further research since that note continues to suggest that VZ still has a 1-2-year first-mover advantage from a US wireless infrastructure perspective. Nonetheless, it is our opinion that VZ's densification efforts, while industry setting, are not sufficiently complete to provide seamless and reliable service across all urban areas, especially in the near term. Verizon's densification is based on a three-prong approach: carrier aggregation, dark fiber, and rapid deployment of small cells. 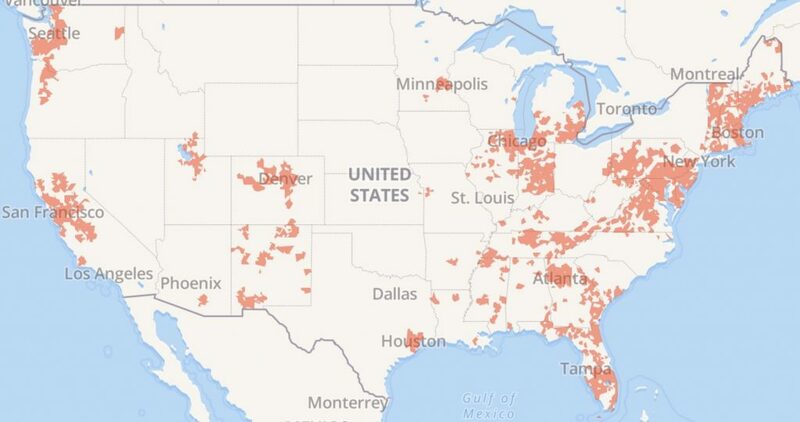 On the first prong, VZ has actively deployed 2 and 3 carrier aggregation across most of the nation. On the last two prongs, while they have been leading the market in both efforts, there still are areas where their efforts have been slowed due to factors outside their controls. Based on our on-the-ground level visibility, VZ has a hefty lead in dark fiber and small cells actively deployed or in development. In our previous note, we suggested that the next 12 to 18 months will be tough for Verizon as the impact from their investments will take time to materialize. For urban markets where VZ has encountered delays due to local zoning or permitting for deployment of small cells, there will be a reduction in reliability and data speeds. These issues will be more pronounced in markets where Verizon is relying upon two carrier aggregation. Risks to this note: The perception of VZ network superiority declines at a faster rate than expected, causing subscribers to question whether they should spend the additional money on VZ's unlimited plans before VZ's network investments reverse those issues. VZ could reverse their strategy of using outside fiber and vendors in order to control their fate by increasing CapEx towards the development of owned dark fiber assets, thereby reducing ZAYO and CCI opportunities. The deployment of small cells started in earnest in 2015. Two years later, all of the Big 4 wireless carriers have adopted a small cell strategy to handle the 50+% YOY growth in mobile data usage. Along with acquiring or deploying fiber, the deployment of small cells sits at the heart of a hyperconnected 5G future. 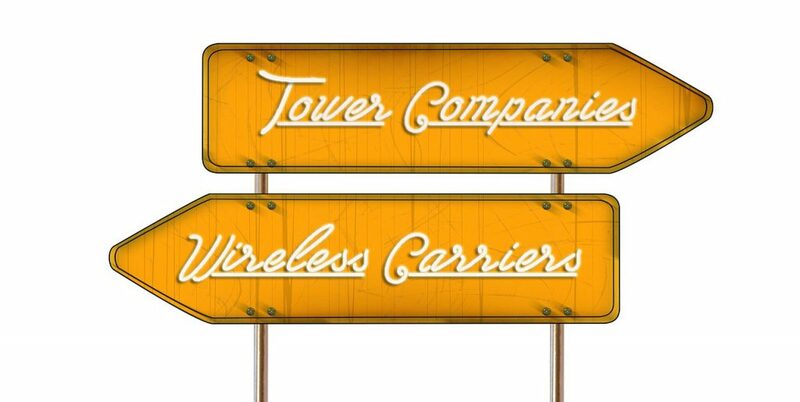 As small cells have grown in prominence, analysts have argued about their impact on traditional tower company business models. Recently, Crown Castle (CCI) indicated small cells account for over 12% of total revenue and small cell deployment will only climb in the future—a trend we highlighted in our note Ten Predictions for 2017. Understanding how companies like CCI and Zayo deploy small cells, at what economics, and how the economics compare to historical returns on capital in the tower business is increasingly important. Last week, we put out an article on how wireless service providers connect with their subscribers at the Superbowl. 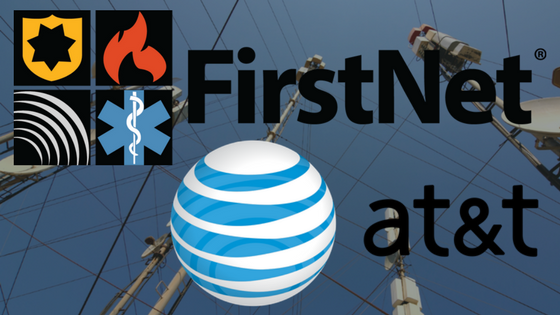 In doing research for this article, we looked at towers and small cell infrastructure using our proprietary tower and small cell database to examine deployments in and around NRG Stadium in Houston, TX. 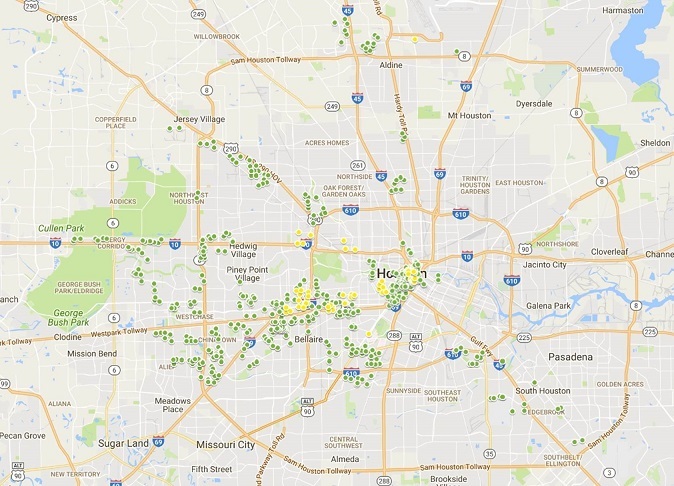 The wireless carriers have been actively densifying their networks in Houston to prepare for the onslaught of increased wireless data usage, and our data shows ZAYO and CCI competing for the city’s small cell future. While this note focuses on ZAYO and CCI in Houston, there are other players with a presence in this bellwether market. For the sake of simplicity, we’ve chosen to focus on what we see as the top two competitors going forward. 1. At the end of the first quarter of small cell deployment, ZAYO is ahead of CCI in Houston. Zayo is significantly ahead of Crown Castle in the deployment of small cells in Houston, where CCI’s headquarters is located and where CCI just closed on the acquisition of Fibernet earlier this month). CCI stated on their earnings call on 1/26/2017 that “FiberNet substantially strengthens our footprint in Miami and Houston, both markets where we are seeing significant small cell demand.” But despite CCI’s claims about their efforts in Houston, our checks indicate that Zayo small cell nodes (both proposed and completed) exceed CCI nodes by a factor of approximately 10x, giving ZAYO a significant advantage in the market. We have plotted these deployments in the map below, with ZAYO in green and CCI in yellow, and ZAYO’s advantage is clear. Our research is specific to Houston and is not a commentary on the ZAYO vs. CCI competitive dynamic across the entire US. We see accelerated development of small cells in Houston because it is a top three city in terms of population and because of the publicity surrounding the Big Game. However, from a zoning and permitting perspective, Houston is “infrastructure friendly” relative to other cities. 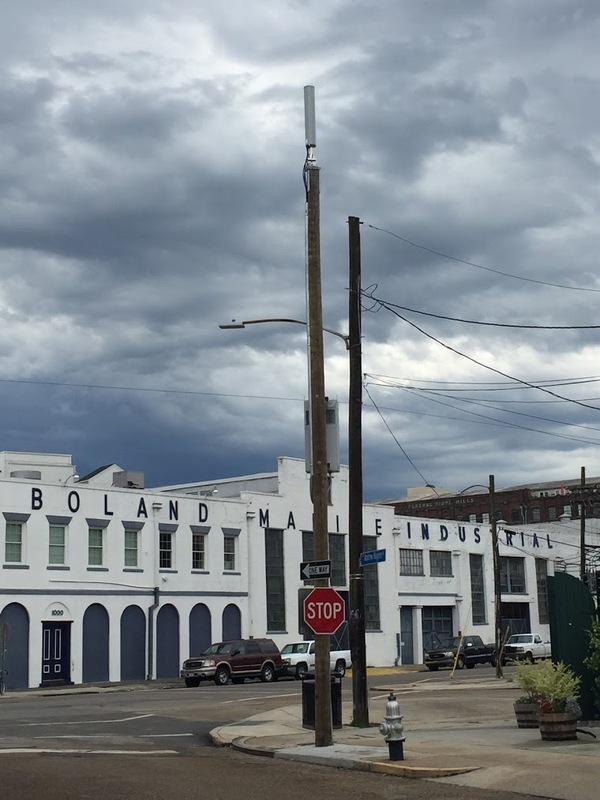 In other words, Houston is an ideal location for robust small cell deployment, so we will continue to watch developments in the marketplace as a bellwether for other major cities. 2. The Small Cell Game is fundamentally more competitive than the Macrocell game, and First-Mover-Advantage is critical. Small cells are more competitive than traditional towerco business models, and so the first-mover advantage is more important. Because small cells are deployed primarily in the right of way, and with fewer zoning restrictions and limited NIMBYism to constrain competitive deployments, the first company to win the land grab has an advantage attracting carriers as customers. In some areas, we are hearing that there are six to seven applicants applying for right of way access rights simultaneously in the same locations. Already having fiber in the ground is beneficial because it enables the lead infrastructure company to solicit potential wireless service providers first. If a second infrastructure company enters the market and builds out the same right-of-way, then a duopoly is created wherein neither gets all four customers onto nodes along the same fiber routes. The best case duopoly IRR scenario is three carriers on the lead and just one on the follower; however, our research suggests that so far Sprint is focused on deploying its own nodes; so markets tend toward two customers on the lead and one on the follower. In their 4th Q earnings call, CCI indicated that “we are building small cell systems with initial yields of 6% to 7% that increased to low-double digits with the second tenant and higher yields with the third and fourth tenants.” This statement presupposes a local monopoly for the leader, not a lower-yielding duopoly. And let's not talk about what happens when there are more than two fiber providers in the same Right of Way. Our proprietary data allows us to quantify the monopoly vs duopoly state of Houston and therefore to narrow in on CCI’s return on investment as small cells are added to FPL Fibernet’s assets. If rumored carrier consolidation between Sprint and T-Mobile occurs, the first-mover advantage grows as fewer carriers mean that the second infrastructure deployed in any given city has a fundamentally lower potential return profile. 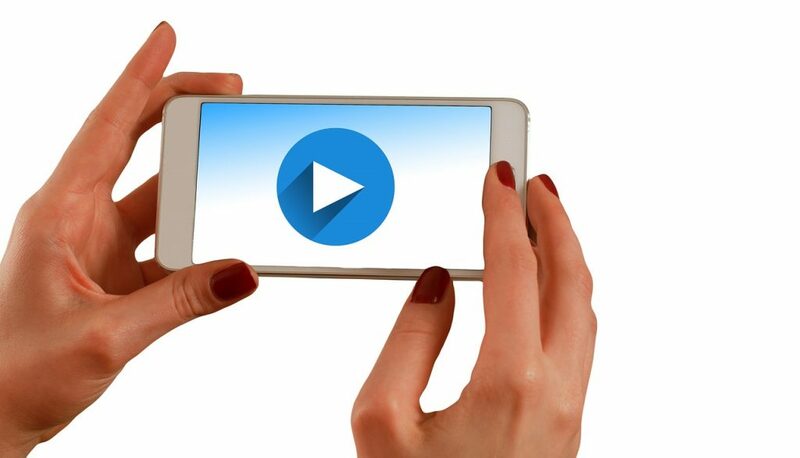 Though the reverse is also true; entry by a cable company into the wireless space could expand the number of potential customers, enabling higher second-mover returns. Net net, with no guarantee of a local monopoly, the second infrastructure deployed is simply compressing the wireless value chain in the favor of carriers. 3. Even though CCI is down in the first quarter, they can still turn it around. We are not suggesting that Fibernet was a bad acquisition, nor that ZAYO has the Houston market in the bag. When Crown announced the Fibernet acquisition, the expectation was that CCI would be able to use the valuable metro-fiber plant to encourage small cell deployment on or near that fiber. 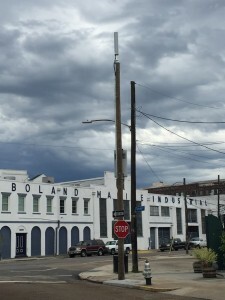 CCI has indicated they are seeing strong interest for small cells in Houston but hasn’t yet provided any clarity on what constitutes “strong” and whether what they are seeing is in-line with their expectations. We believe that both companies have valuable assets in Houston, especially to the extent that their infrastructure does not overlap—a factor which our proprietary datasets allow us to quantify. However, it is still too early to determine the degree to which CCI will succeed with Fibernet’s Houston assets. The small cell game is still too early to call. We will continue to closely monitor the situation in Houston and we will be expanding our research to additional top 25 markets in the coming months. About Steel in the Air: We have long focused on a data-driven analysis of tower data and on lease rate data for wireless infrastructure. We were the first nationwide cell tower lease consultant and we are the largest, having assisted over 3,500 clients over the last 13 years. We count small to mid-size tower owners, public entities, not for profits, big box stores, shopping center REITs, federal entities, and individual landowners among our clients. We have unique visibility to what is happening on the ground as it pertains to wireless infrastructure deployment. We track everything- every lease, every tower, every cell site, every cell tower lease buyout offer, and every sale of a tower portfolio that comes across our virtual desk. We provide custom research for investment banks on the public tower companies and the small cell providers and developers. If you are interested in discussing this or any article or topic, we can be retained for in-depth discussion and analysis. Contact us for more details. While the call itself was pretty understated as compared to even other CCI calls, it was in the Q&A where the call got interesting. Here is what we took from the call.